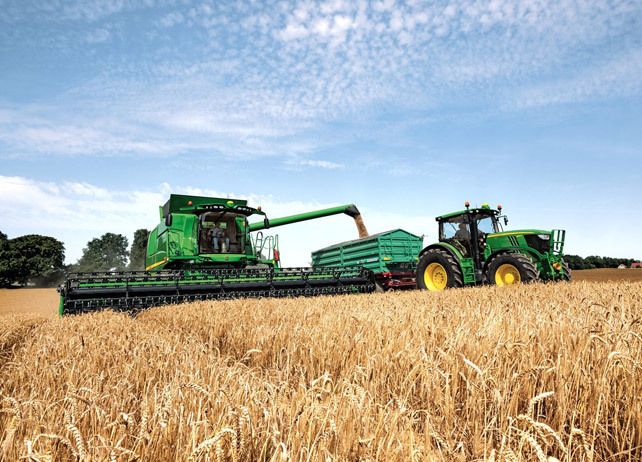 Visual Look at Valuable Harvesting Information: When managing a large fleet of harvesting equipment, it can get difficult to keep track of individual machine’s location and status. Machine Sync connects to the GreenStarTM 3 2630 Display within the combine cab to provide the operator with other combine locations and bin-fill status to determine how quickly the combine will need to unload, prioritize which combine to go to first (when multiple combines are in the field), or call in additional grain carts if necessary. The full-color display within the cab provides a look at all machines in the network allowing operators to view real-time logistics for every other machine in the fleet, reducing the overall time of harvesting operations by making decisions on the go. Automated Equipment Control: The Machine Communication Radio system creates an in-field, high-speed wireless network enabling “machine-to-machine” communication between up to 10 machines within a single network in a three-mile radius. With this technology, combine operators can send a “ready-to-unload” signal, as mentioned above, providing the location and capacity of the closest cart. When the tractor and grain cart have been identified, Machine Sync allows operators to control the tractor’s speed and location relative to the combine, mimicking the combine’s movements while it unloads grain, reducing spillage of grain and reducing the amount of stress that comes along with the standard unloading for operators. Crop producers work all year long to make sure their harvest produces the highest yield possible. 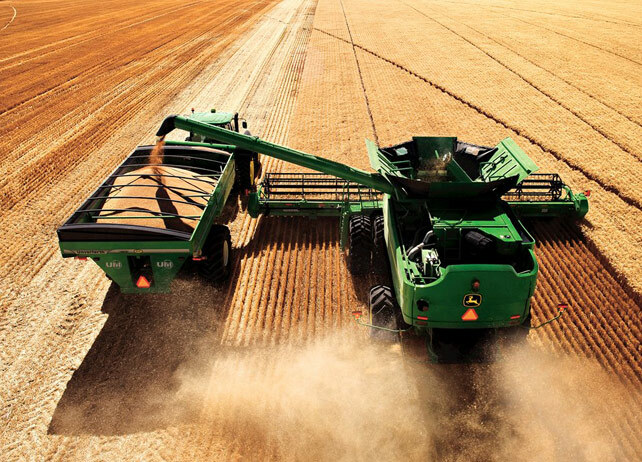 John Deere Machine Sync is the perfect sidekick for producers looking to make the harvesting process more efficient and less stressful. We hope this post provided a helpful look at Machine Sync’s features and how it could help producers close the fall harvest with a bang. If you enjoyed this post, or want to take a look at some other, feel free to connect with us on Facebook or Google+!